Bay Realty Blog: Homer Alaska...2016 Year End Market Report! ALL GOOD! Homer Alaska...2016 Year End Market Report! ALL GOOD! End of 2016 and News is Good! Our Market has been Solid & Steady all Year! There's No Place Like Homer! Great news about the real estate market in Homer and gorgeous pictures. Thank you Kat Palmiotti I rally appreciate you saying that!! Robert Vegas Bob Swetz !!! thank you so much... I knew you would like the clouds! The state of Alaska has some of the most breath-taking display of clouds that I have ever seen next to Montana skies. Merry Christmas Robert Vegas Bob Swetz and a Very Happy New Year!!! 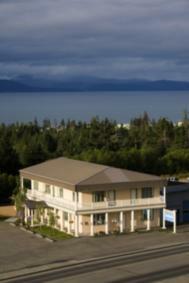 I am glad to hear the market is good in Homer, AK. I wish you a fantastic New Year. thank you Debbie Reynolds I wish the same for you! Happy New Year!! Debra, Homer, Aleaska has really beautiful clouds - and water, too! Hello Patricia Kennedy Thank you so much! It really is easy to find the beauty up here!